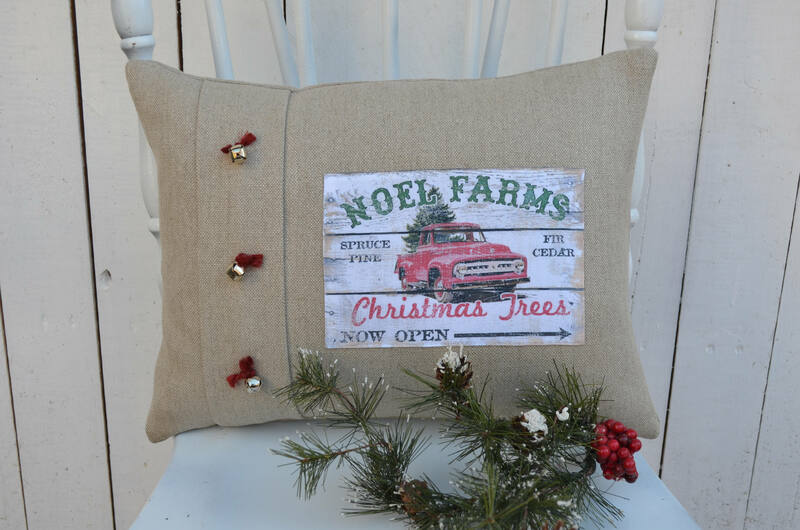 "Noel Farms" Christmas pillow. This little pillow is a lovely reminder of visiting a Christmas tree farm and cutting down a Christmas tree. 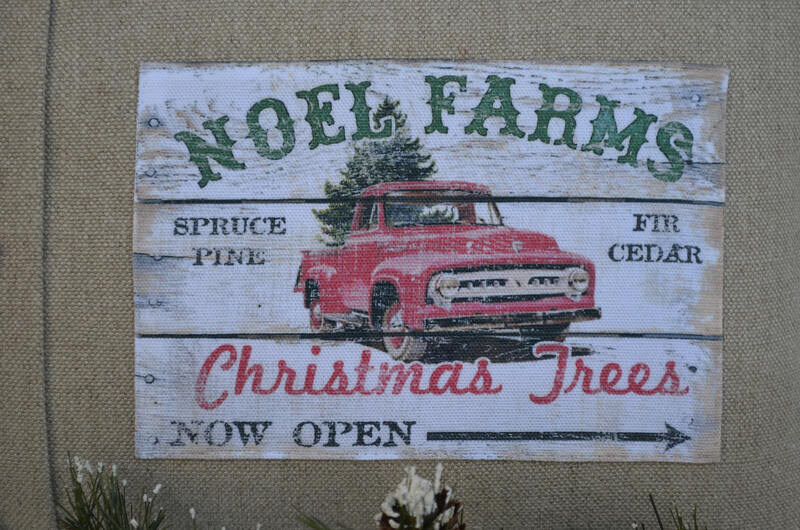 We live in a small town which is well known for all the Christmas tree farms! People come from far and wide to search for their perfect Christmas tree! 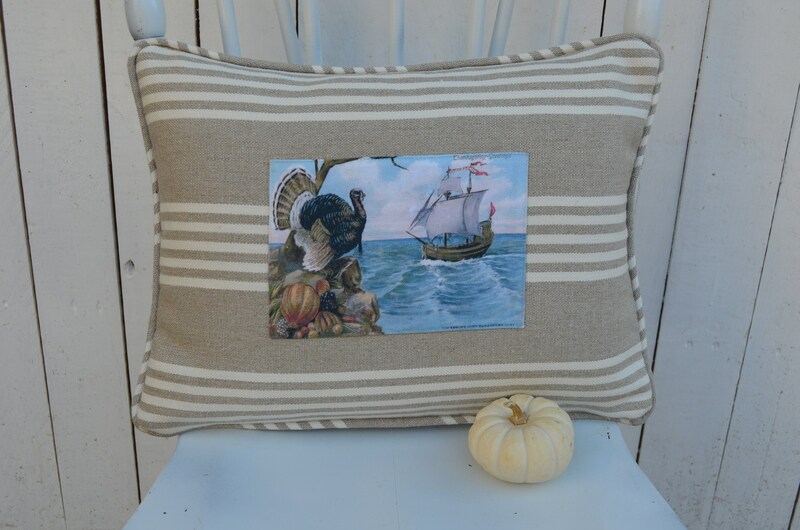 The amazing image on the pillow is from WAGlacier Graphics! I normally use vintage postcards but her images were so perfect for the holiday season that I couldn't resist! The image is available in 3 style options, the small pleated with bells or hand tied rope buttons, small 2-tone and small stripe. 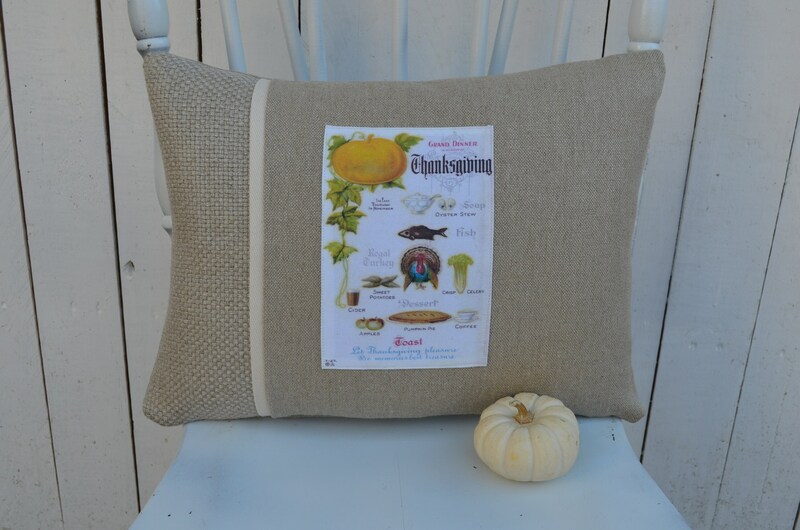 The pillow is 100% Belgian linen and measures 12 inches high by 16 inches long. 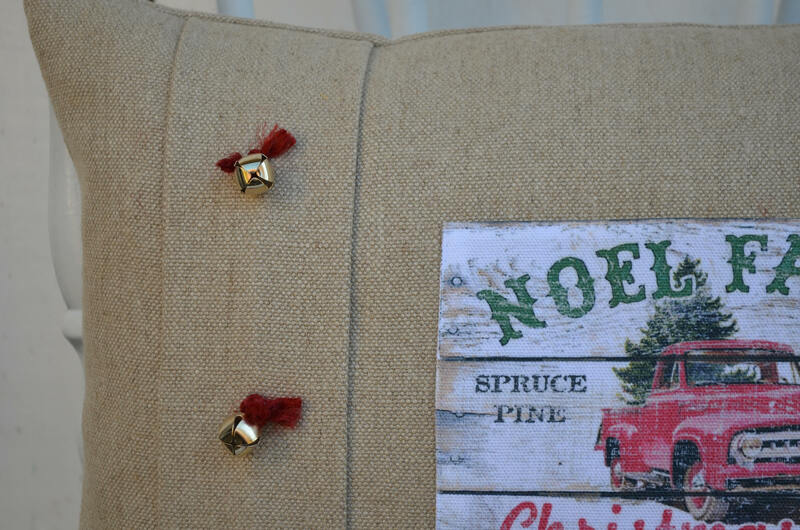 I added 3 jingle bells on the pleated style for the fun of it and because everyone needs a little "jingle" at Christmas!!! The 95/5 feather/down insert is included. The pillow is closed with a zipper at the bottom.